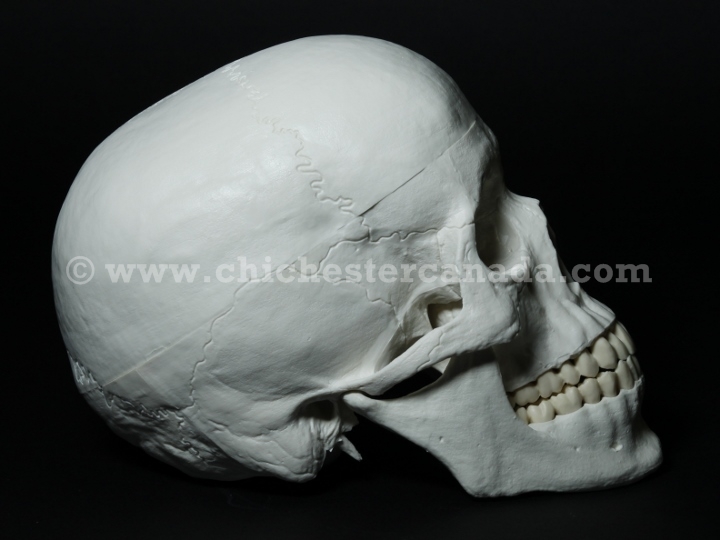 These are reproduction life-size human skulls made of plastic. 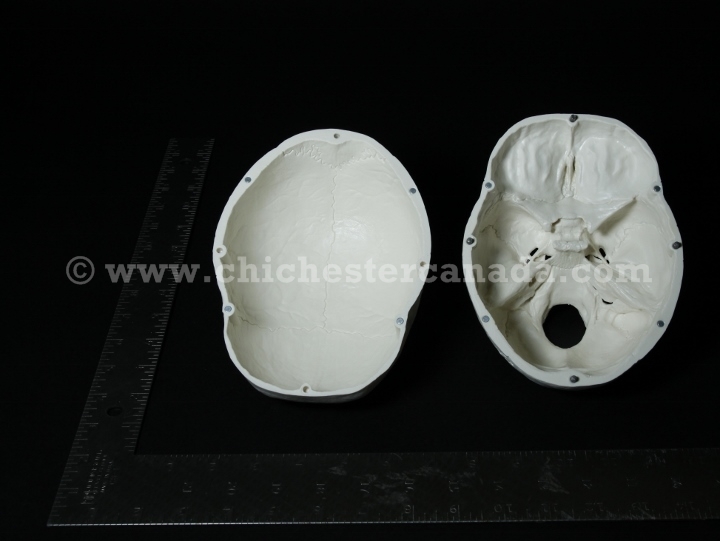 The skulls are 5" wide, 6" tall, and 8.5" deep (from front to back). 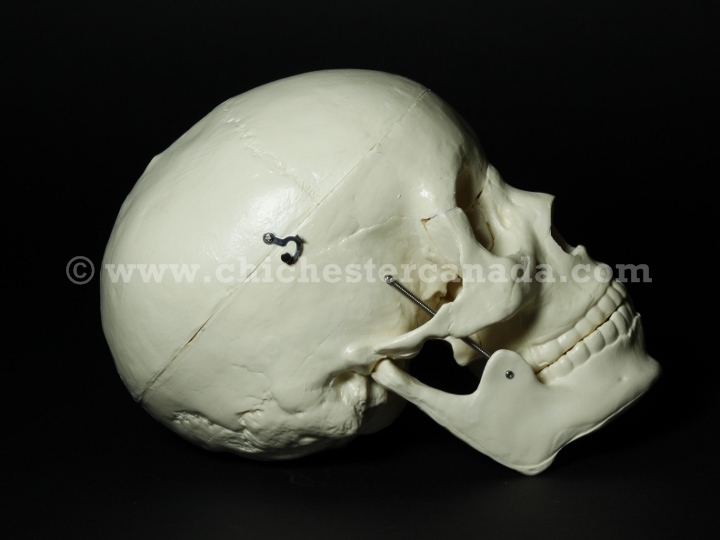 There are two models: standard and budget. 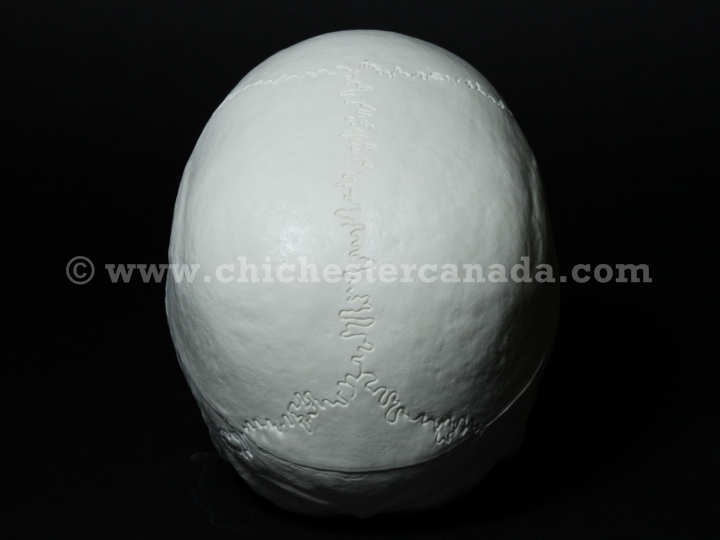 The standard model is white and has a detachable magnetic cranium. 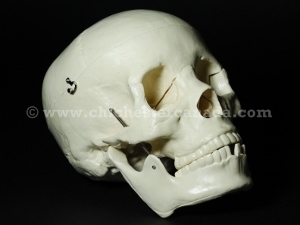 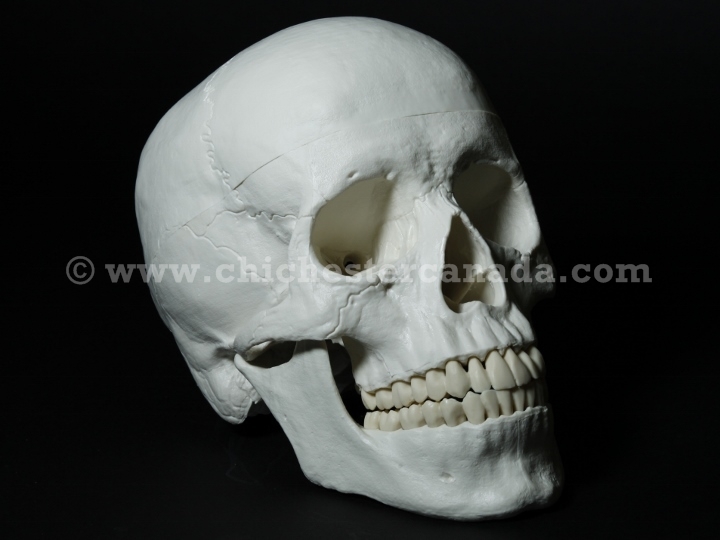 The budget model is creamier in color, has a detachable hinge cranium, and comes with some loose teeth. 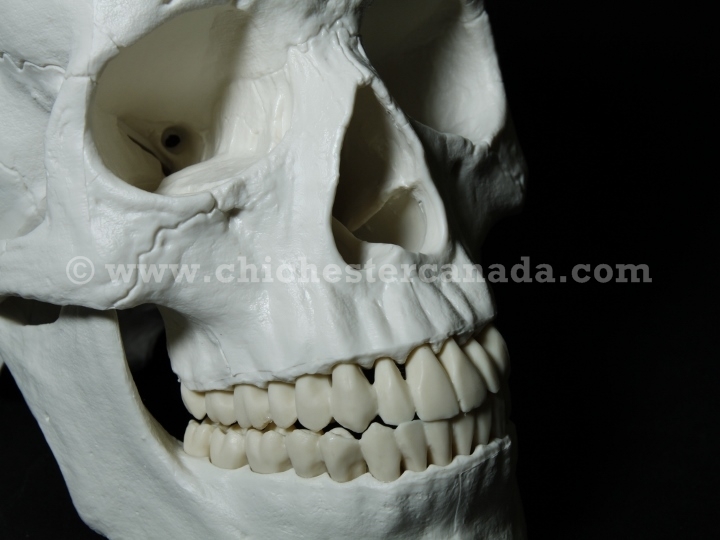 See a close up of its front. See the left side, back view, and right side of the skull. 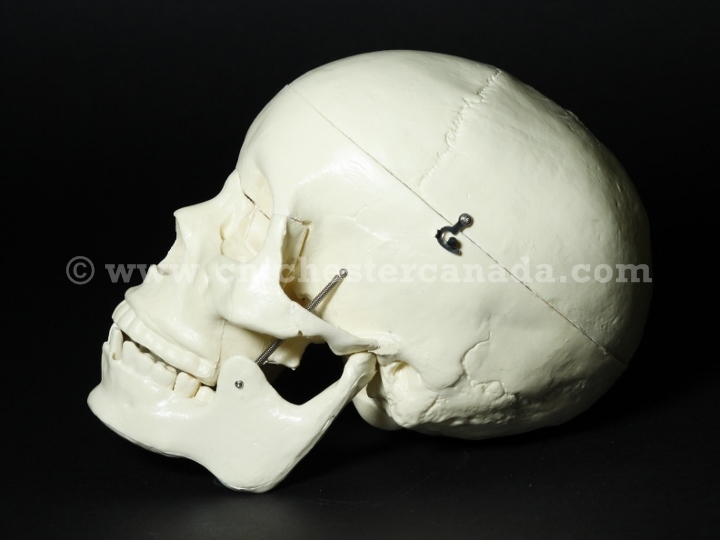 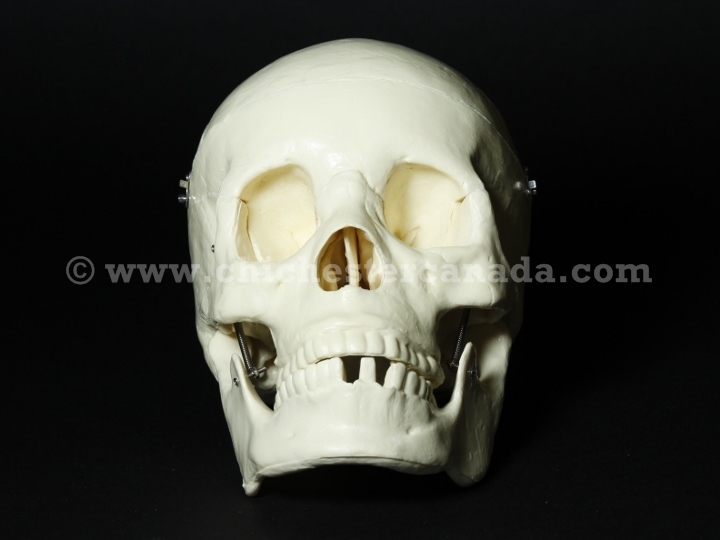 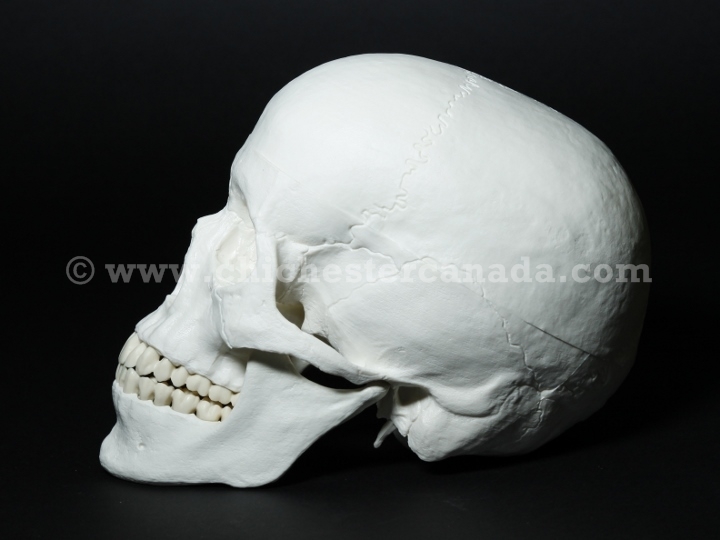 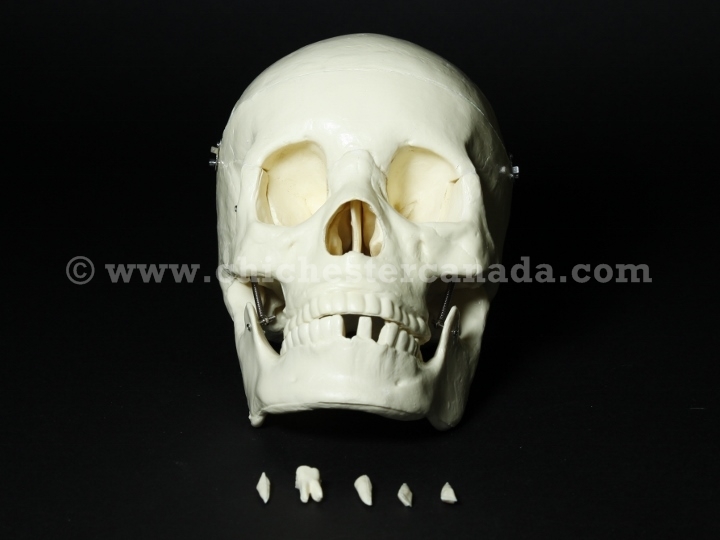 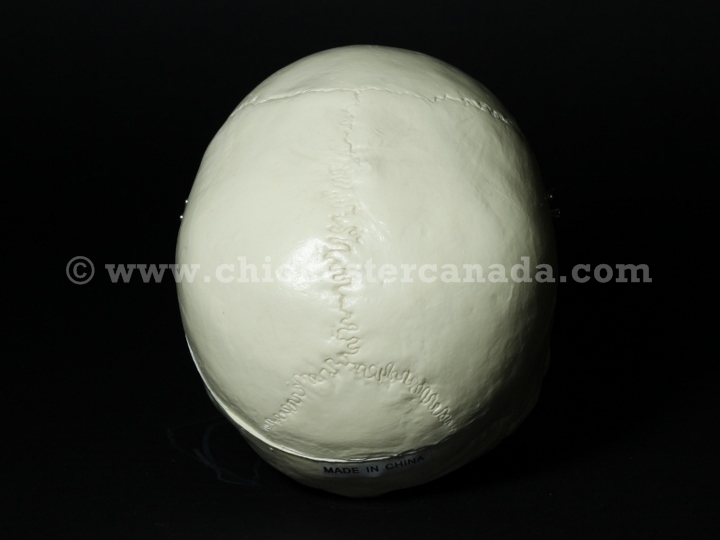 See the top view of the opened skull and its size comparison with a square ruler. 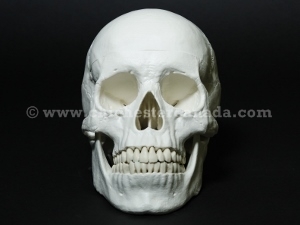 See the skull with the loose teeth. 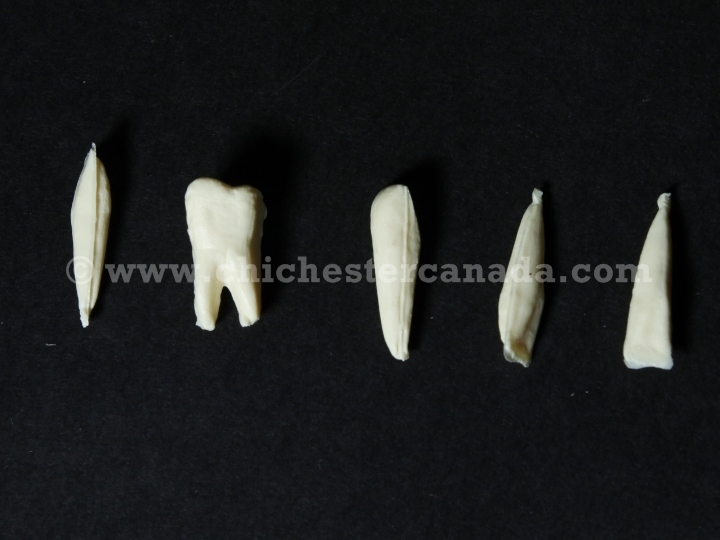 See a close up of the teeth.